Edger lived in India for about forty years before returning to New Zealand two and half years before passing away. During her time in India she was the Principal of the Theosophical Girls’ School at Varanasi. She also was in charge of the education of the two sons of the Maharaja of Darbhanga. Looking in our catalogue Lilian Edger appears twice more. Ref: New Zealand Graphic, Scene on board the 'Matilda Wattenbach' on her passage down the Thames, 1862, Sir George Grey Special Collections, Auckland Libraries, NZG-18910530-10-1. In light of this passage it is not hard to see the influence of her father on Lilian’s questioning mind and subsequent interest in Theosophy. Edger also wrote The elements of Theosophy which “intended to serve as an introduction to the study of Mrs Besant’s Ancient Wisdom.’ Our copy was presented to the Library by the HPB Lodge of Auckland in 1936. 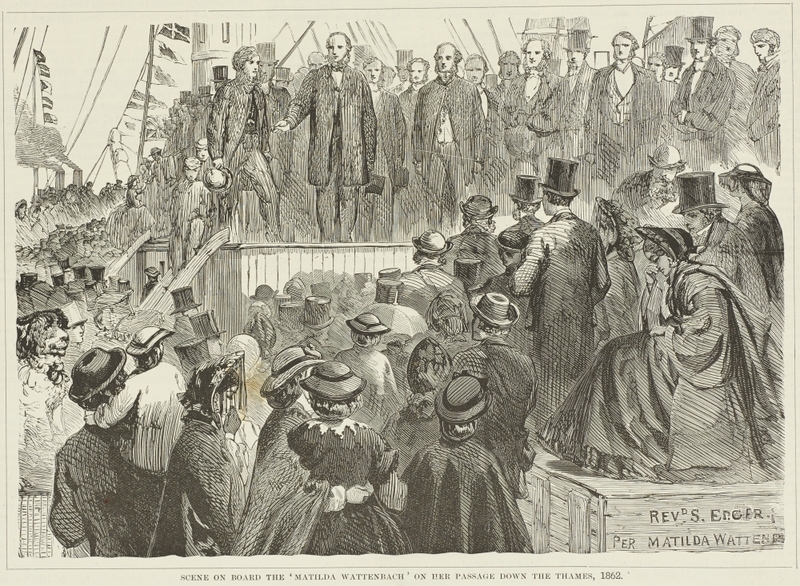 The Theosophical Society was founded in New York in 1875 by Helena Blavatsky and Henry Steel Olcott. 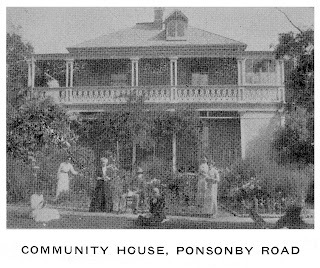 In 1886 the headquarters of the Theosophical Society moved to Adyar, a suburb of Chennai. 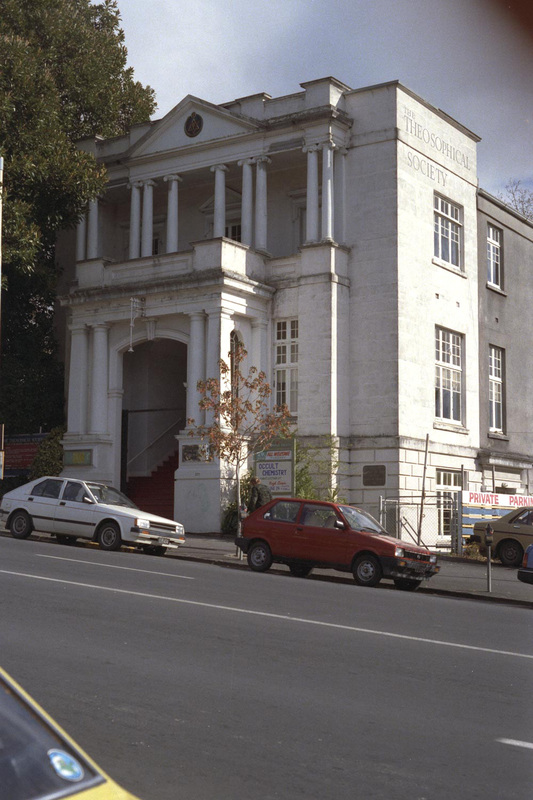 Ref: Theosophical Society Hall in Queen Street, Auckland, June 1986, Sir George Grey Special Collections, Auckland Libraries, 1052-C4-13A. 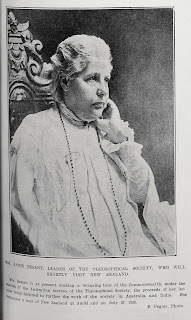 Theosophy must have been intellectually appealing to Edger so too the association with charismatic speakers and thinkers like Madame Blavatsky, Colonel Olcott and Annie Besant. 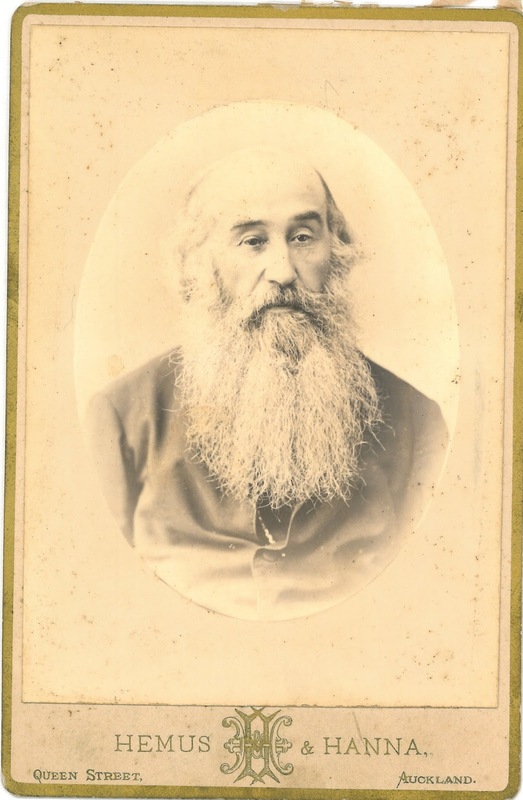 In 1897 Edger was Secretary of the New Zealand Section of the Theosophical Society. That year Colonel Olcott visited Australia & New Zealand on a speaking tour with Edger accompanying him as a lecturer. Edger’s oratory obviously made an impression because at the conclusion of this tour he then invited her to go back to India and lecture there. This was to be the beginning of the best part of forty years Edger spent in India. After some time lecturing at Adyar Annie Besant then invited Edger to Varanasi where she taught at the girls school there. Ref: E. Pegler for the Auckland Weekly News, Mrs. Annie Besant..., 23 July 1908, Sir George Grey Special Collections, Auckland Libraries, AWNS-19080723-11-4. It also must have been an intellectually attractive place for Edger to be as Theosophy drew other progressive thinkers on education. Maria Montessori spent 8 years living at Adyar, and Rudolph Steiner was heavily involved in Theosophy at this time. 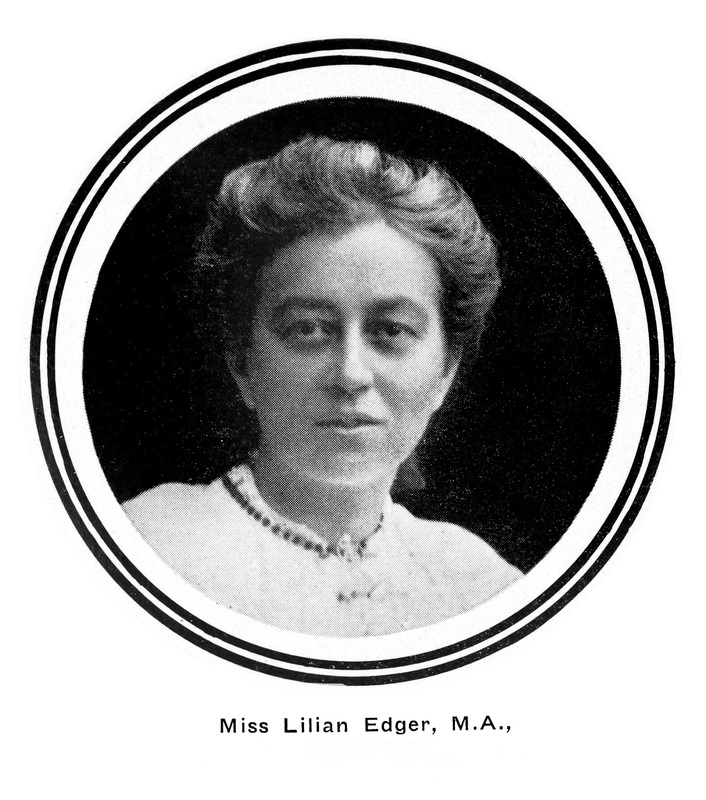 Edger was interviewed about her work in India by the Auckland Star on the release of Elements of Theosophy in 1903. She taught at Nelson College for Girls when it opened, where her sister Kate was appointed Principal. They both heavily feature in L.C. Voller’s account of the first seven years of the school. 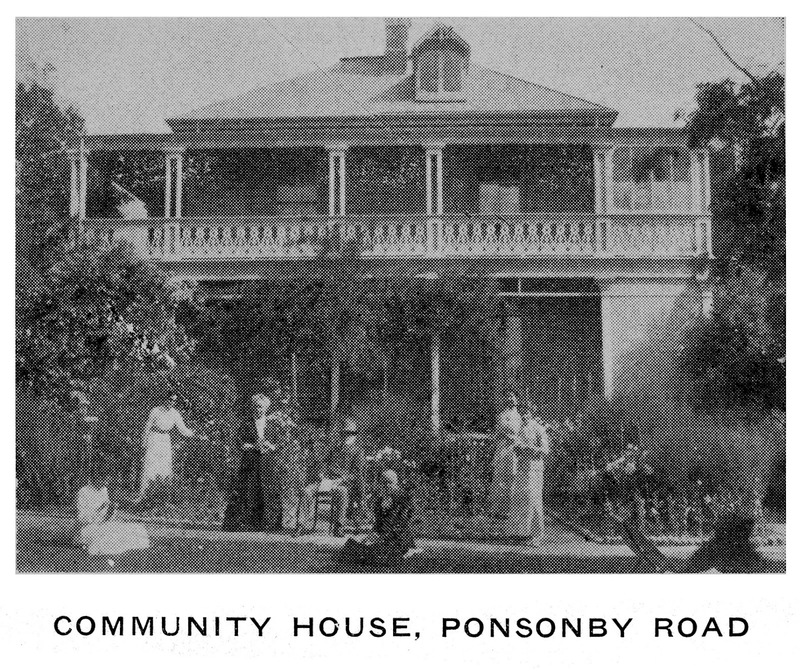 Ref: Theosophy in New Zealand, New Series v.7:no.2, April-June 1946, page 50, Auckland Libraries, SERIAL 212 T39. 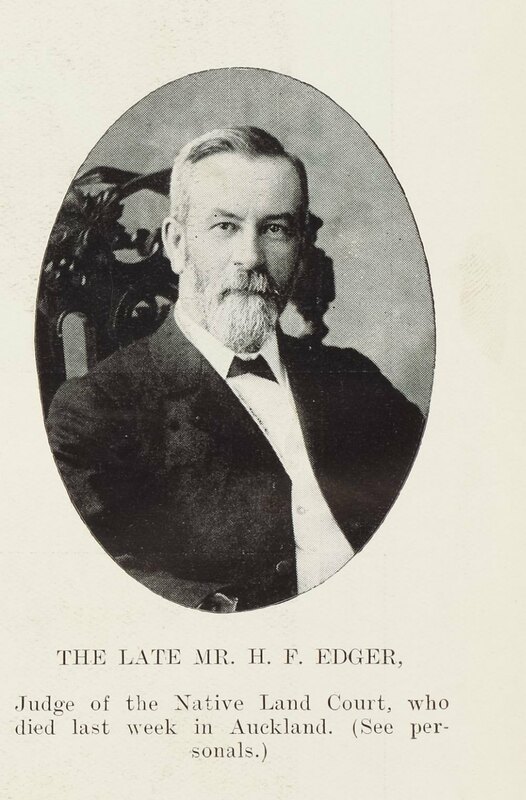 Edger’s teaching and lecturing career then continued on in India for many more decades. Lilian Edger was part of an intelligent, achieving and questioning family. In addition to her well-known father and sister her brother and niece also are noteworthy. Herbert Edger, Lilian’s brother, a lawyer, was a Native Land Court Judge from 1894 to 1909. Ref: New Zealand Graphic, The late Mr. H. E. Edger, 5 May 1909, Sir George Grey Special Collections, Auckland Libraries, NZG-19090505-30-10. Geraldine Hemus, also a lawyer, was the fourth women admitted to the bar in NZ, one of the founders of the Vasanta Garden School and later the president of the National Council of Women. Lilian deserves to be remembered alongside other pioneering New Zealand women of her time, like Ellen Melville and her sister Kate. As Richard Boast writes in his article on the Native Land Court a full study of this remarkable family and of its contributions to national life would be very worthwhile. Ref: Hemus and Hanna, Samuel Edger, 1880s, Sir George Grey Special Collections, Auckland Libraries, 959-1. Happily, it looks as though historian Diana Morrow has taken up this challenge, I’m looking forward to seeing what comes of this award.